We have the capabilities to provide “cut and sew” contracting services for many types of products and materials, including plastics, canvas, vinyl, textiles, leather, medical devices, military sewn products, banners and promotional materials, heavy duty strapping and bags/carrying cases. Our capacity ranges from prototyping to small batch orders to 1000s of units per week, always within the lead time you require. functional. For more information about our contract industrial sewing capabilities read more or contact us directly. 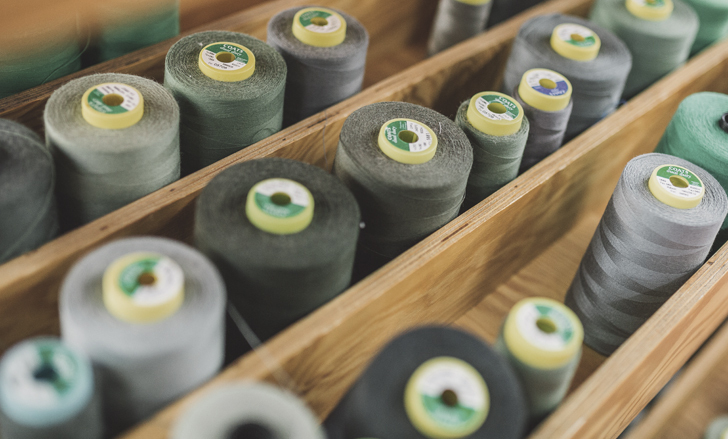 With over twenty-five years of experience in custom and commercial/industrial sewing across all industries, Conectra offers a wide breadth and depth of design, engineering and product expertise to clients worldwide. We specialize in custom and commercial/industrial sewing of vinyl (PVC), polyester, nylon, and other industrial textiles. Backed by our seasoned design and engineering team and unbeatable customer service, we pride ourselves on meeting each client’s unique specifications with innovative product design and the most rigorous quality control standards in the industry. We offer accurate quotes and special material sourcing on all large custom orders. We have additional expertise in contract sewing services and private label production. Private Label Sewing is part of our production abilities. Many people come to us with product inventions, which we produce under their brand name and label. We source the materials/fabrics if necessary, and we produce and package the products, however labels and packaging are the client’s responsibility to design, source, and provide. Clients are also responsible for marketing and warehousing their private label goods. If the project is a fit, we will establish minimum orders at the time we quote it. We are focused on industrial sewing and unfortunately do not produce any apparel.